When it comes to the concept of edible printers, many people across the world may not be familiar with this. 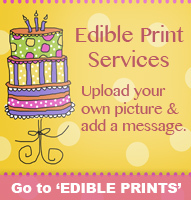 These edible printers come in handy when printing out designs to put on cakes and other edible pastries. Cake decoration is a very serious art. Many clients are usually very particular and specific about how their cakes should look like. As the saying goes, half of the beauty of the cake is in the taste while the other half lies in the appearance and presentation. You can bring out all the fine details in the cake as long as you are equipped with the right edible printers and edible printer ink. 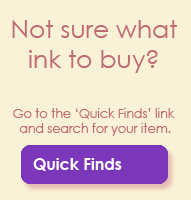 Decorating cakes with printer ink is not a new concept at all. 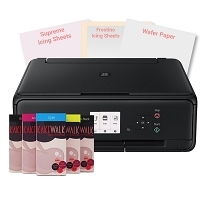 However, it is only recently that this technology adapted office printers and cartridges to make the process more affordable for bakeries. It is now much cheaper to print designs on your pastries and this has opened a leeway for chefs and pastry makers to produce excellent designs. 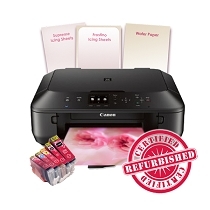 All that you will need is our edible printer and our compatible edible printer ink cartridges to get started. 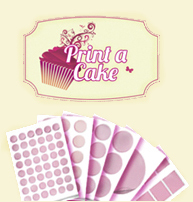 Use ink 4 cakes edible icing sheets and you will be ready to begin producing printer pictures for your cake designs. The use of edible printers allows cake artists and experts to be more accurate in displaying company logos and photographs on the cakes. 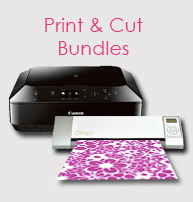 It is also much faster to print cake designs using these printers compared to hand-drawn cake designs. You can print any design of your choice and place it on top of the cake. 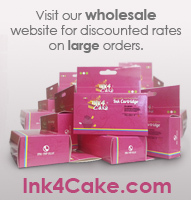 Actually, if you have Ink 4 Cake edible printing system at home, you can bake and design your cake designs right in your house. 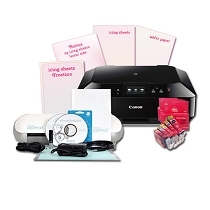 Edible cake printing is a procedure that can be performed by stay at home mothers. Good Morning to All: I been in catering business for 21 years, and love what I do, bake fresh bread, donut, cookies, cake, pastries each morning. A week ago I purchased a Canon CC7 to make my work lot last stressful. 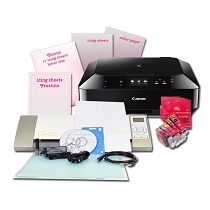 I sugguested if you are in catering business, you need to strongly buy a Canon CC7, work wonderfuly.